Upside-Down Pizza is one of those meals you can throw together quickly and you know people will love, because who doesn’t love pizza? You can add pepperoni, your favorite pizza toppings, use your imagination. I made this last Sunday for our church gathering when some of our young adults walked in they peeked in the oven and said, “Yea! I love this!” It’s great when the simple meals are such a hit. Cook in a large skillet over medium heat: beef, onion, flour, basil, oregano, and garlic. 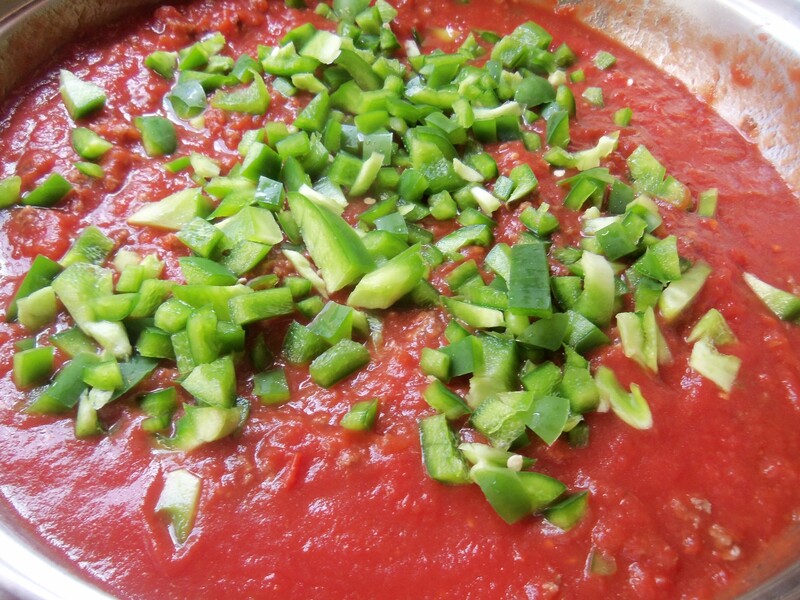 Add veggies and tomato sauce to the skillet and simmer. 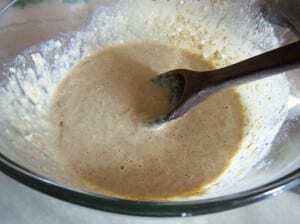 Combine breading ingredients in a bowl a large bowl. 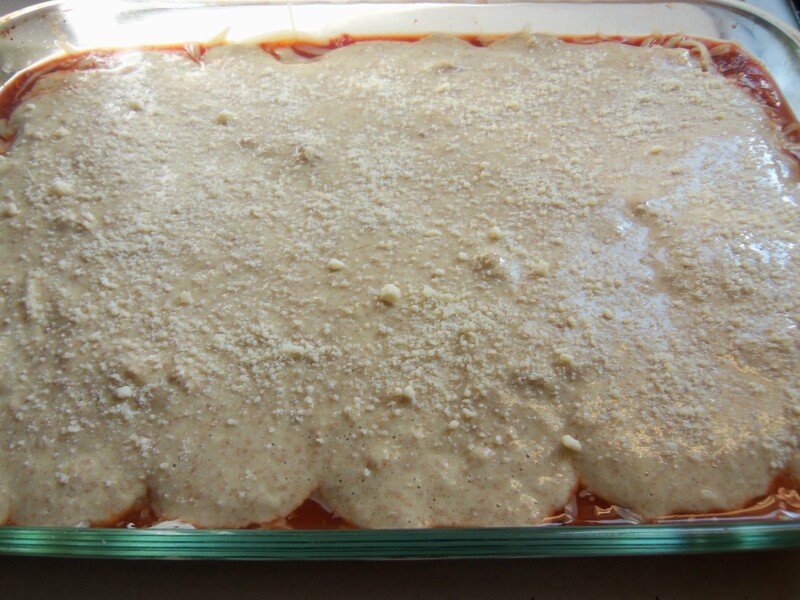 Pour meat sauce into a 9x13 baking dish. 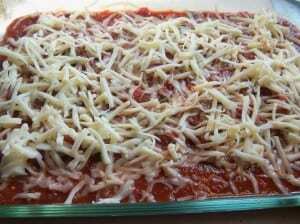 Sprinkle Mozzarella cheese over meat sauce. Slowly pour breading liquid over meat sauce and cheese. Try to completely cover it with the breading, but don’t worry if you don’t. Bake uncovered at 425 degrees F for 25-30 minutes or until browned. Cook in a large skillet over medium heat – beef, onion, flour, basil, oregano, and garlic. Add veggies and tomato sauce and simmer. Combine breading ingredients in a bowl. 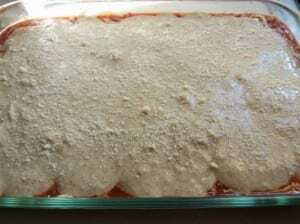 Pour meat sauce into a 9×13 baking dish. 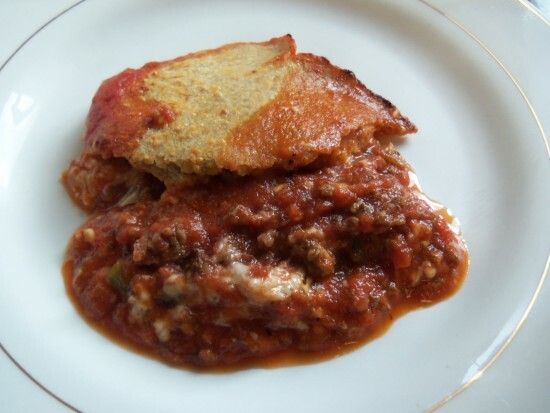 Slowly pour breading liquid over meat sauce and cheese. Try to completely cover it with the breading, but don’t worry if you don’t. Sprinkle with Parmesan cheese. Also linked to some of these great blogs.